The term "management euthanasia" is used when a healthy animal is culled for management reasons within a captive facility. It's been estimated that 3000-5000 animals may be management euthanised each year in Europe, although most of these are smaller, less "interesting" mammals, such as mice and rats. But more on that later. Zoos and aquariums often euthanise otherwise healthy "surplus" animals because of overbreeding. Animals in zoos are bred for education, conservation purposes, entertainment or even for fundraising - cute young animals can guarantee increased footfall in a zoo. However, zoos and aquariums will often justify the culling of these surplus animals as being in the best interests of that breeding animal. Put simply, breeding is a natural behaviour, and therefore it must be positive for an animal's welfare. Consequently, breeding from an animal will trump the potential need to cull the offspring. While encouraging natural behaviours is important for a captive animal's welfare, a) assuming that all animals desire the same behaviours is limiting, and b) the negative welfare consequences on the individual animal's welfare left behind is still poorly understood. 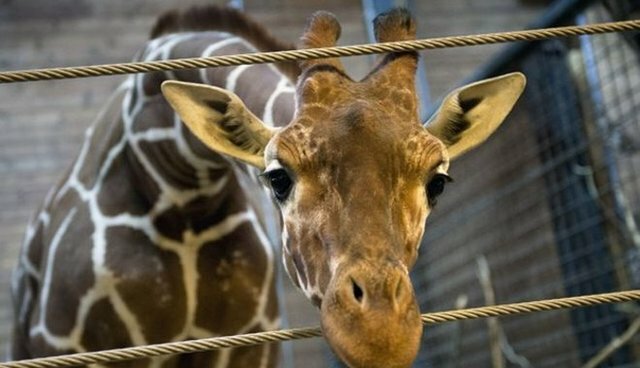 For too long zoos and aquariums have justified this breeding and culling cycle from the animal's welfare perspective, but it's time that this was challenged. One would assume separation of animals for management euthanasia is designed to be put into effect at a time when animals of that species would naturally leave their mothers or social groups. This might make the transition and consequent culling more acceptable (putting aside the ethical debate for now, let's assume the welfare of the euthanised animal isn't compromised, but focus on the welfare of those left behind). But what about those "surplus animals" that would never naturally leave a social group – baboons for example, who often live their entire lives in close and continuous proximity to friends and family. 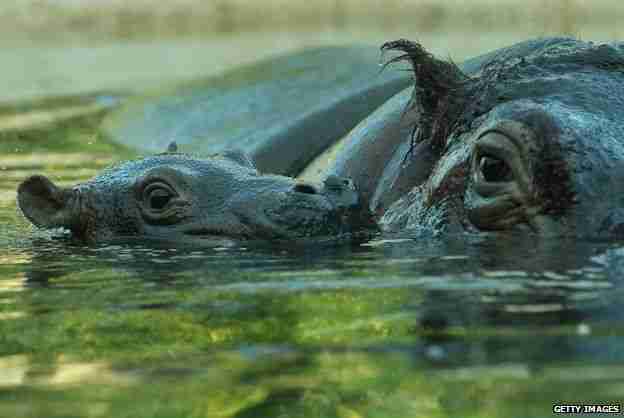 Or hippos and giraffes? Both are stated as cull animals in European studbooks - however both have herd social structures, and whether bachelor or mixed, can these social groups avoid being affected by the loss of an individual? As research continues to shed light on new and exciting welfare needs of animals, it demonstrates their complex, sentient ability to interact and feel similar feelings to humans, from joy and happiness to fear and loss. While on the surface, visibly little might change when an animal is removed from a group, not enough research has gone into the potential effects that this loss has on individuals within that group and the personal welfare repercussions. Animals have individual needs, feelings and desires and while It's easy to say that breeding in captivity means an animal's welfare will be positive, simply stating it doesn't mean it is true. As with humans who remain childless but have fulfilling and positive lives, animals, whose conceptual complexity is still largely hidden from us, may well be also be able to do so. Pushing for one particular natural behaviour shouldn't lead us to conclude that the animal's welfare will be automatically positive. A more efficient and considerate welfare approach would be to consider an animal's welfare needs throughout its entire life, instead of focussing on breeding as an intermediary tool to promote animal welfare. Zoos should be viewing animals as individuals and monitoring their individual desires throughout their entire life, instead of just making assumptions based on the known species biological behaviours. As an aside, recently, the Californian Commission banned future breeding of orcas at San Diego's Seaworld and naturally, the park were disappointed with this outcome and responding that "breeding is a natural, fundamental and important part of an animal's life and depriving a social animal of the right to reproduce is inhumane." Without dissecting this too much, one would argue that an animal's ability to choose where it goes, what it does and perhaps even who it breeds with, is more fundamental and humane than the reproduction itself, something the park obviously does not provide. Finally, back to the estimated 3000-5000 animals that are may be management euthanised each year in Europe. This number has been justified by the fact most of those are mice and rats. This is a strange justification, given the complex social structure rats live in, based on hierarchal stability, which is easily stripped away through culling. All species of animals have complex mental needs, and it is precisely a failure to engage with these complexities that exemplifies the need for a change in attitude towards animal management euthanasia.